I would like to enter this into the Rubber Dance 'Everything Spring' challenge. I would also like to enter this card in the Craft Stamper challenge. 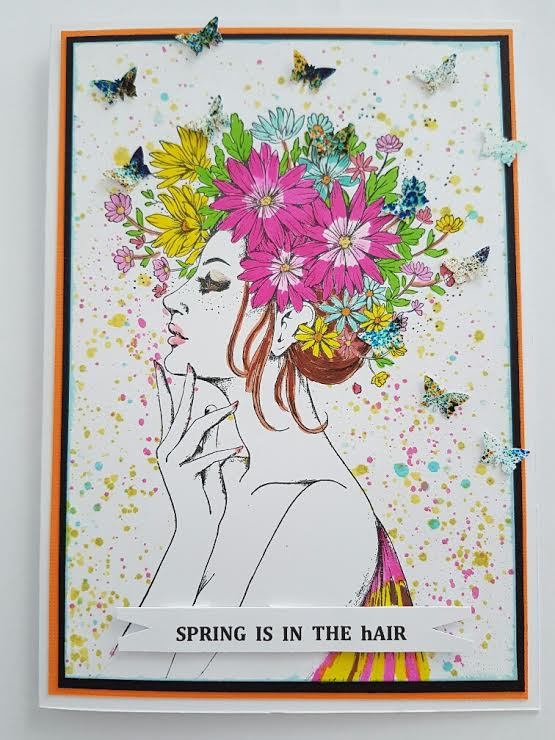 Hi Judy, this has turned out so very beautiful with the butterflies and flowers - it is Spring all over! Thank you for joining the challenge at Rubber Dance for the Everything Spring challenge. Love this card Judy. The colours are perfect. This is so pretty! Thank you for joining us over at Rubber Dance. Hugs, Susanne.